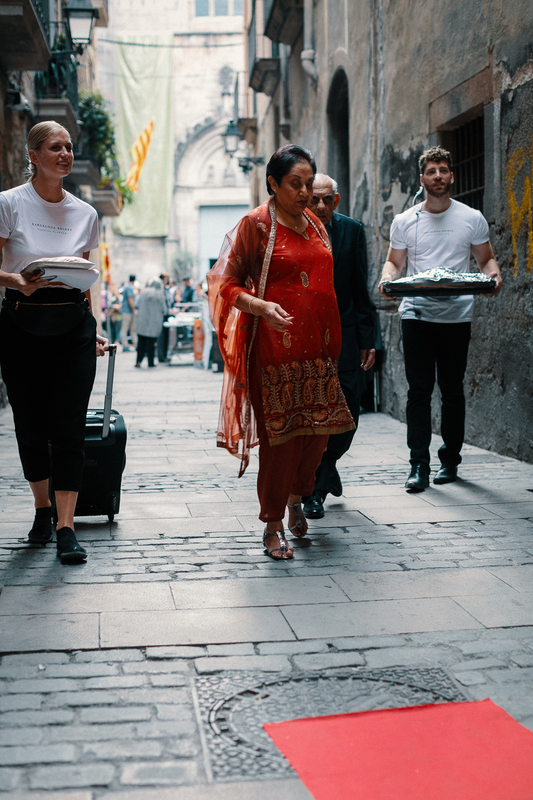 If your destination wedding guests are staying close to Paseo de Gracia, then you can start with Casa Batlló (Passeig de Gràcia, 43) and Casa Milà (Provença, 261-265) which is just a few blocks away. Both are must sees and unique examples of modernist architecture. Just a few minutes away is the Sagrada Familia (Carrer de Mallorca, 401). It’s been under construction for more than 100 years, but rumour has it we will get to see a fully completed Sagrada Familia within the next 20 years! The interior is almost finished though so you’ll be able to check out high columns and colourful stained glass tiles. Make sure to buy your tickets online in advance to guarantee entry and skip the queue. If you want a bit more of Gaudi off-the-beaten-path then head to the newly renovated Casa Vicens. To round off your Gaudí adventure don’t miss the Park Guell. 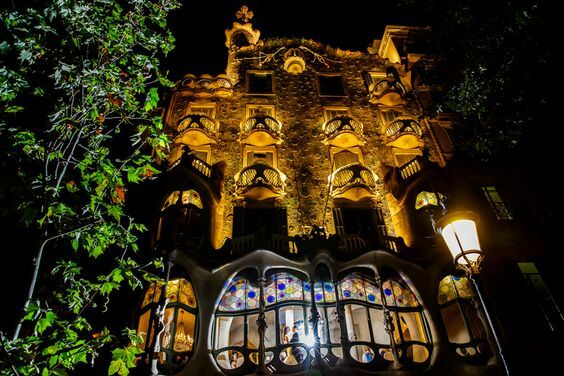 Straight out of a fairy tale, this is the ideal place for your destination wedding guests to enjoy a Barcelona sunset before the wedding festivities start! The newly opened Azimuth rooftop bar at Almanac Hotel is just a few blocks from Paseo de Gracia. There are stunning views over the city and the deco is hip and stylish. This is the perfect place to sip a pink lemonade as you take a dip. The rooftop at Hotel Pulitzer is one of the most central of all the rooftops and perfect if your guests have just reached Barcelona via Plaça Catalunya. Full of plants and gorgeous decór, this is the perfect remedy for tired guests. The Sky Bar at Grand Central Hotel has great views, an infinity pool and good food. It opens at 8.30pm so make sure to get there on time and grab a space. These are the least touristy and best options in town! El Nacional: interesting set up in a refurbished garage. Bitacora: Authentic tapas in a typical Barceloneta bar. Betlem Miscel·lània Gastronòmica: Perfect spot to sip a vermouth and people watch on the terrace. El Xampanyet: Simply a must do!